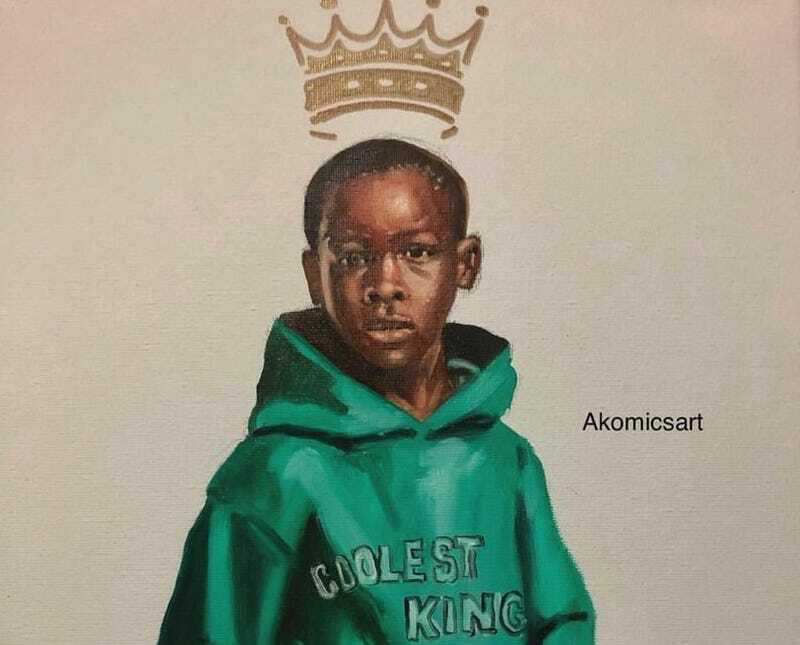 Fashion brand H&M raised the ire of many when it released a racist ad of a young black boy in a green hoodie with “Coolest Monkey in the Jungle” inscribed on the front. The ad sparked immediate backlash on social media and prompted boycotts of the Swedish retailer. Even one of its celebrity spokesmen, the Weeknd, cut ties with the brand, saying that he was “deeply offended.” The outrage worked and H&M pulled the ad and stopped selling the product. Rightfully, black people on social media considered the harm the ad could cause to the self-esteem of the boy featured in it. Rallying around him, users created various images of the boy with a crown on his head and “royalty” or “king” inscribed over the offending phrase. The sentiment is lovely. We should be concerned with the impact the ad might have on him (and all black children), and we should want to build him up. But we can build up this young boy without reinforcing hierarchies among classes of people. The opposite of “monkey” isn’t “royalty”; it’s human. For centuries, black people in America have been made to feel their lack of humanity in ways that this deplorable H&M ad has highlighted. Dehumanized by slavery, Jim Crow, mass incarceration and more, we’ve sought ways to restore our own humanity and sense of self. A popular way to combat our dehumanization is with dreams of being descendants of kings and queens in Africa. In some Hotepish memes, our West African roots stretch all the way back to ancient Egypt, making us the heirs to the brilliance of pyramids, philosophy, math and more. The world recognizes ancient Egyptians as worthy, just as the world recognizes royals as worthy. When you’ve been fed lies of worthlessness for so long, it is understandable to desire an association with what the world deems worthy. But a major part of decolonizing our minds must be to reject out of hand how we have been socialized to determine worth. Wealth, power and status ought not be our markers of humanity and value. Instead, decolonization requires us to understand that human beings are inherently worthy of personhood, dignity, decency and respect. This is our birthright. The young model pictured deserved to be in an ad that allowed him humanity and the protection of childhood simply because he is a human child. H&M failed him by erasing that fact. By crowning him a king in response, all we do is reinforce that it’s OK for certain kinds of folks to be treated as less than people. By all means, let’s lift this child up. Tell him that he’s beautiful—not just because he’s an adorable little kid who has clearly mastered how to serve face already but simply because he exists. Tell him that he’s worthy. Tell him that he deserves love, respect and dignity just because he’s human. The sooner we break the chains that come with valuing people by class, the sooner we can all experience true freedom.